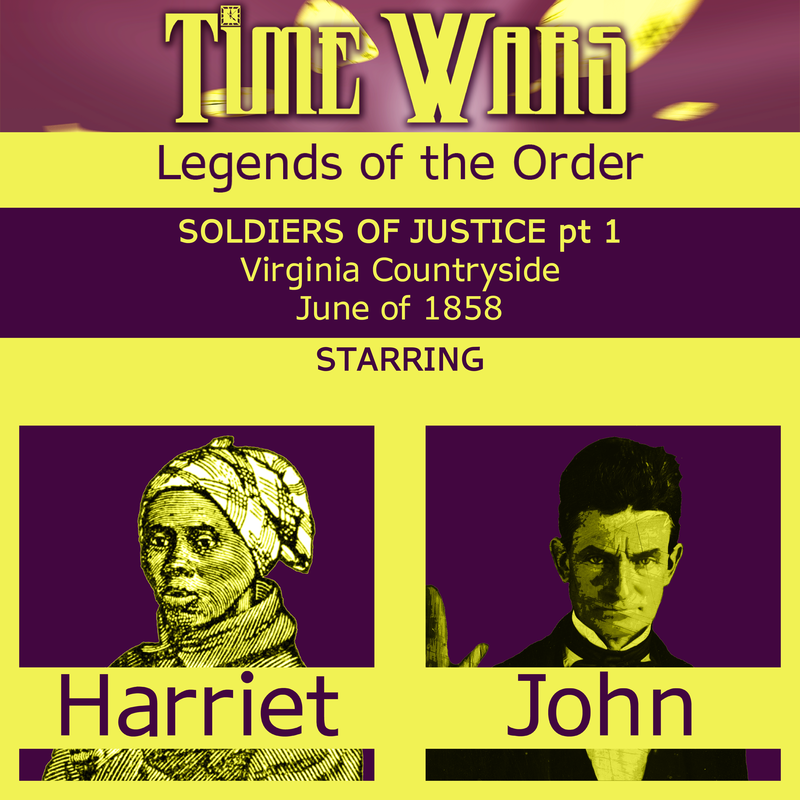 Continue the Adventure with Time Wars Tales books! Zane took a moment to size up this stranger. It was obvious that the body of this being was very nearly Human, but not quite Human: the extra pair of arms made that clear. With pale skin and jet-black hair cut into a mohawk, a height that towered over the tallest men and a breadth of shoulder to match, this semi-Human being with black soulless eyes seemed to be a quintessential soldier, down to the disciplined way they walked. Most importantly, however, Zane had seen Daendar’s fangs, and knew for a fact that he was dealing with a fellow Noveratu – what the Humans called “Vampires”. This allowed Zane to trust Daendar when they said they were from the future. “What do you propose?” Zane asked, resting his head on his chin as his eyes flitted across every feature of the stranger’s face. Not many people on Earth would know what that meant, but Zane did. Imagining a Vampire Hunter with a device which could slice the very fabric of reality caused Zane’s biological defensive mechanisms to reflex, and his fangs slid out of his mouth. With a sweeping gesture, Zane drove Daendar’s attention to the machinery below. As a testament to Noveratu accomplishment in the American South, many dark-skinned Humans had been systematically stripped of rights, purchased, and brought into this blood factory. Zane and his employees had developed vast machines, powered and operated by alien technology his family had inherited, which collected these Humans in batches, rendered them into fluid, and bottled the results. Those bottles of pure Human juice were then put on ice and delivered to Noveratu throughout Virginia for a profit. Although the project had originally started out small, Zane had built an empire in the intervening years, and the blood factory he showed to Daendar was nearly a mile in length, hundreds of feet deep, and produced dozens of drums of juice per day. The sound of wailing anguish was music to the ears of any Noveratu. And it made Zane laugh to think of how his kind had managed to fool the light-skinned Humans into devaluing their kin for such nonsensical reasons. Without the glory of the Southern White Supremacist, the Noveratu would not have such bounty. “This is our future,” Zane said. The distant sound of explosions. First cannonfire, then rifle fire, then something else entirely. Then silence. “What was that?” Zane asked, hand on his sheathed sword. A blast of bright white light, and Zane had to cover his eyes. He knew this was the effect of a Hypsilon energy cube, teamed up with a conductor of kinetic energy, resulting in a weapon which could cut wormholes through space. But only in the hands of a master. Otherwise, it would merely explode. The fact that he was being blinded meant he must be in the presence of a master. When he could see again, he found a woman with skin the color of the darkest shadow, wrapped in the cloth a soldier might wear, standing on Daendar’s shoulders, using a glowing sword made in the style of an American officer’s sabre to stab Daendar repeatedly by thrusting downwards with great force. Daendar was roaring with pain, all four of their wrists firing plumes of flame. If Zane had any doubt that Daendar’s Atu host was something other than Human, the ability to shoot fire out of their wrists eliminate that doubt. Zane moved to unsheathe his sword, but the woman whose sword was glowing made a slash with her blade into the air in front of her, creating another blast of light. Blinded again, Zane stumbled and tried not to fall. When his eyes opened again, there was a gun in his face. As he followed the barrel of the gun back, he found it was attached to a pale hand, at the end of a strong arm, attached to a barrel-chested man with pink skin, dark curly hair, a thick beard, and eyes covered by thick black goggles. When Zane moved to tighten his grip on the sword, the man before him cocked the pistol which was pressing into Zane’s face. “I wouldn’t do that if I were you,” the man with goggles said in a baritone, clucking his tongue in disapproval. “John Brown, I assume,” Zane said, spitting the name like a curse. “Why should I?” Zane snarled.